Satirical show “Eretz Nehederet” airs sketch in which actor wears tefillin on his head. The weekly satirical show “Eretz Nehederet” (lit. 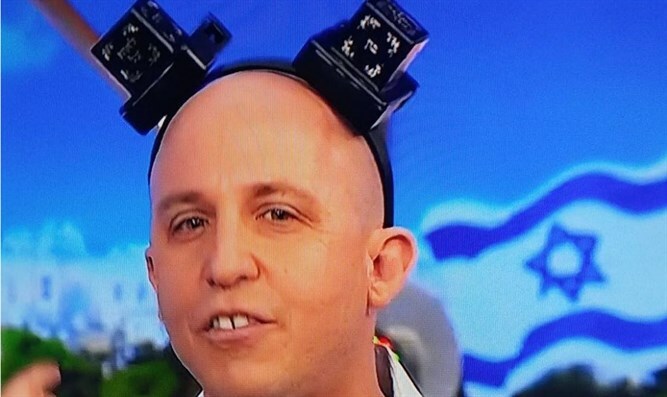 Wonderful Country), which airs on Channel 12, caused an uproar on Wednesday evening after airing a sketch in which an actor playing Education Minister Naftali Bennett is seen wearing a pair of tefillin on his head in imitation of the Israeli representative to the Eurovision Song Contest, Netta Barzilai. "Tefillin mocked as a fashionable accessory. If such a parody would take place in Europe, we would all shout ‘anti-Semitism!’" said one user on social media. Rabbi Lau also said that he expects the program to issue an apology and not to air similar material in the future. The program has in the past come under fire for offensive or inappropriate content. In 2016, the Chief Rabbinate of Israel condemned "Eretz Nehederet" for filming in a synagogue and utilizing a Torah scroll for "entertainment purposes". Two years earlier, the show came under fire for its depiction of residents of Judea and Samaria in a manner that demonized them.